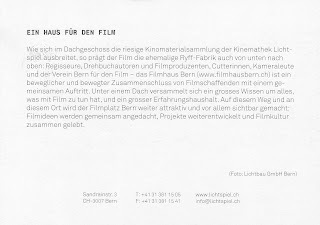 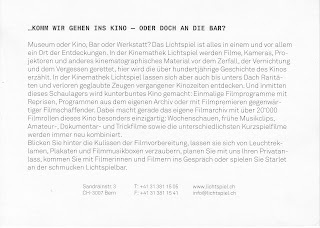 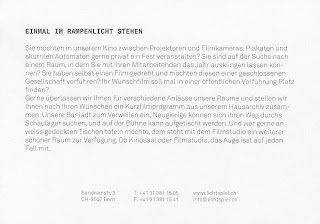 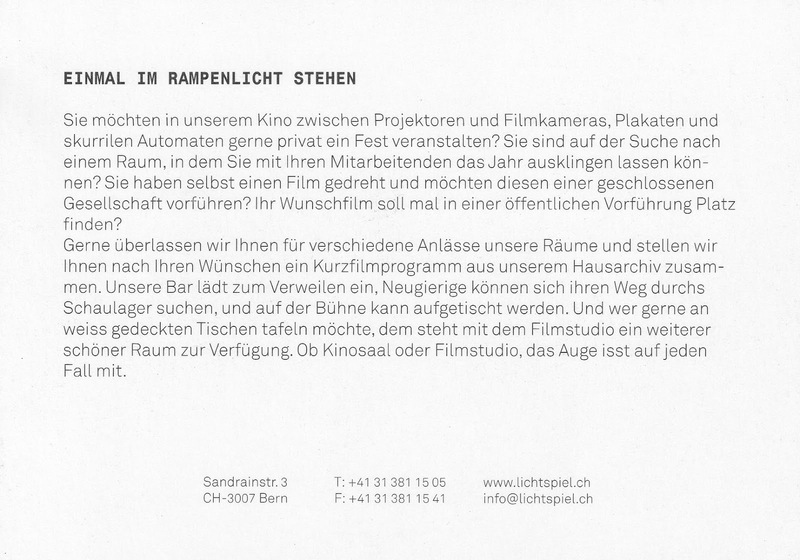 Lichtspiel in Bern is not only a cinema - it is a house full of films. 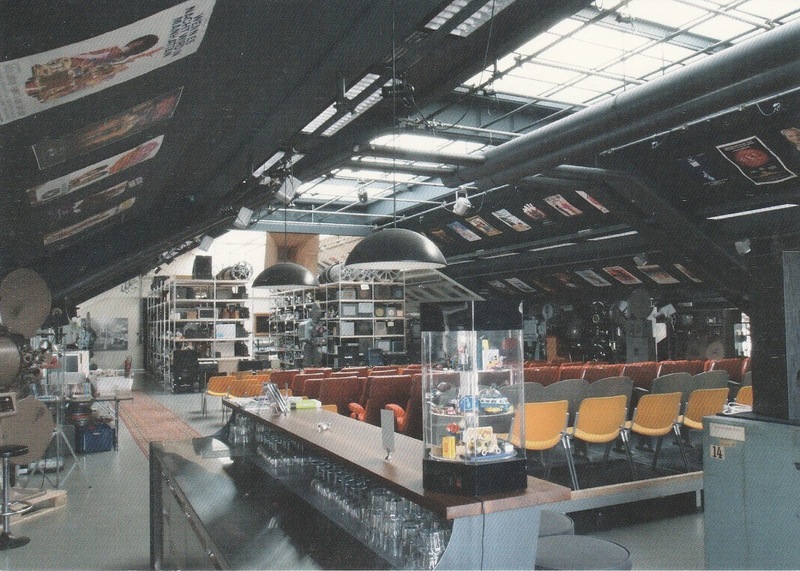 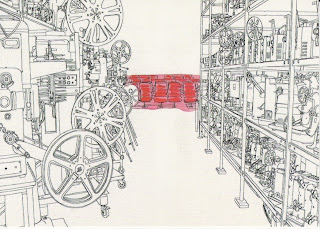 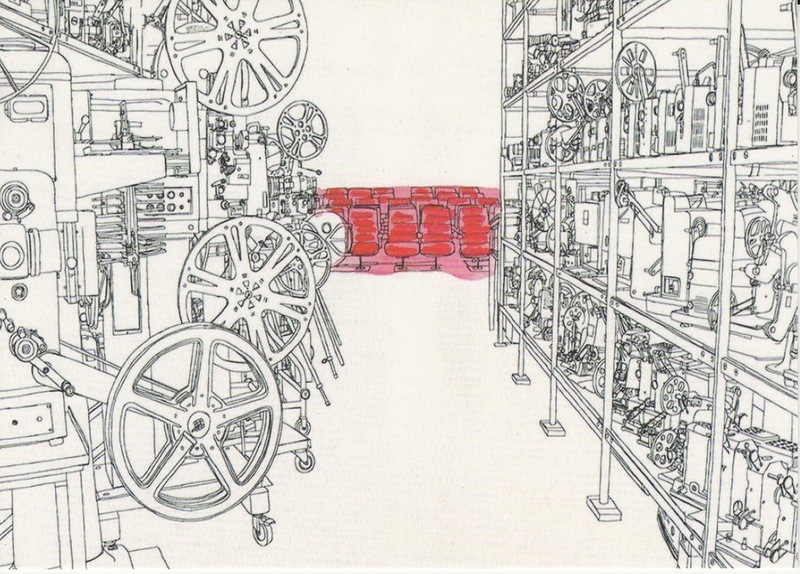 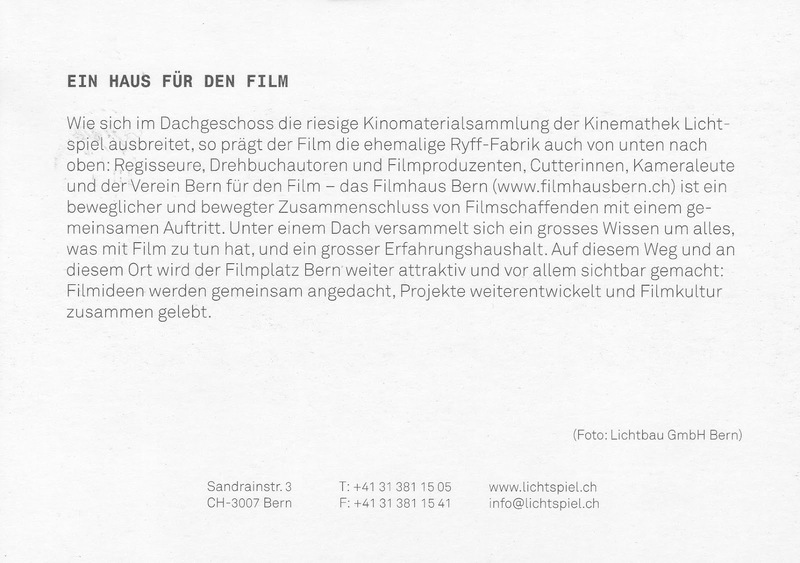 It has located since 2012 in a former factory (built in 1890) and it is now as Kinemathek Bern a center for Swiss film. 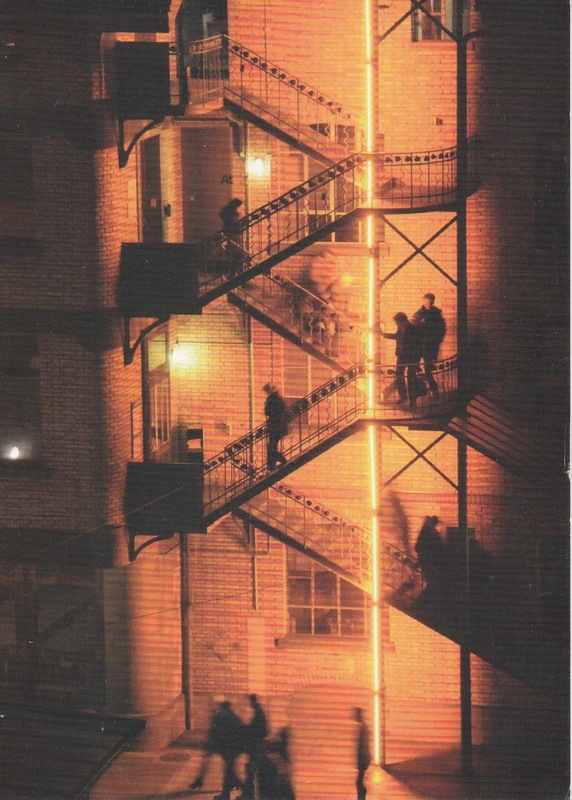 I got these intersting postcards with swap via Postcrossing from Franziska. 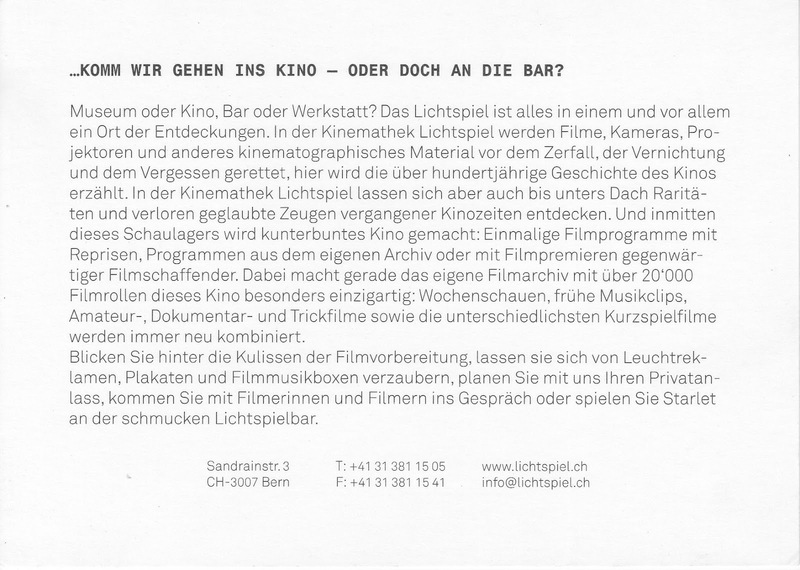 Sometimes she's working at Lichtspiel.